If you are organized and willing to put in some serious spadework, buying a Nutley foreclosure can save you thousands of dollars. 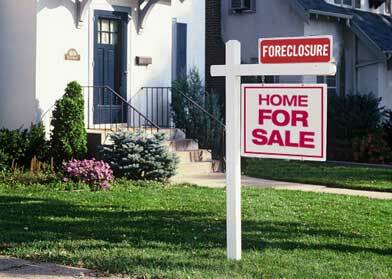 A new wave of foreclosures could be heading our way later this year. According to RealtyTrac, the leading source of foreclosure statistics, one in every 665 national housing units received a foreclosure filing in June. More foreclosures mean more opportunities; but it also means that more buyers will begin to think seriously about going after them. In other words – more competition. 1.Do Your Research So You Can Act Quickly. The foreclosure market performs differently from the traditional market. Arming yourself with accurate comps and knowledge of Nutley Real Estate trends will enable you to recognize the right opportunity as soon as it arises – ideally, before other buyers catch wind of it. Working with a knowledgeable agent who keeps you informed is the quickest way to get up to speed. It will help you avoid being dragged into bidding wars with other deal-shopping buyers. Since under-bidding will cause you to miss the best opportunities, and over-bidding will defeat your whole purpose, up-to-the-moment market knowledge is essential for formulating a canny offer. Time is an important factor in buying a Nutley foreclosure. Your goal is the same as the seller’s: to close the sale as quickly as possible. Naturally, paying cash up front is the simplest route to a speedy closing. If you are buying as an investment, that means targeting only properties that are within your financial reach. As Ron Peltier of HomeServices of America puts it, “A cash buyer who can close in 10 days can certainly get the best deal.” Since closing on a house via traditional mortgage can take anywhere from 30 to 60 days, it is clear which route sellers prefer. As with any vigorous market, participants need to play by the rules or else be stuck on the sidelines. If you are considering buying a local foreclosure and are looking for an experienced agent to stand by your side, call me — and let’s get to work!